The Eta Aquariid meteor shower will peak this week on May 5 and 6. Be sure to get up early and turn your gaze skyward this weekend. That’s when the annual Eta Aquariid meteor shower will be at its peak. Usually visible to the human eye annually between April 19 and May 20, this year, the meteor shower started being visible on April 2o and will still be seen up until May 28. The best time to view the meteorites this year will be in the early morning hours of May 6, according to NASA. This year, the best period to see the meteors will be in the early morning hours of May 6, according to NASA. The Eta Aquariids are one of two meteor showers created by debris from Halley’s Comet. The source of this nighttime event come from the Aquarius constellation, from which they also take their name. The second meteor event produced by Halley’s pass is the Orionid Meteor Shower. This is expected to peak around Oct. 20 this year. 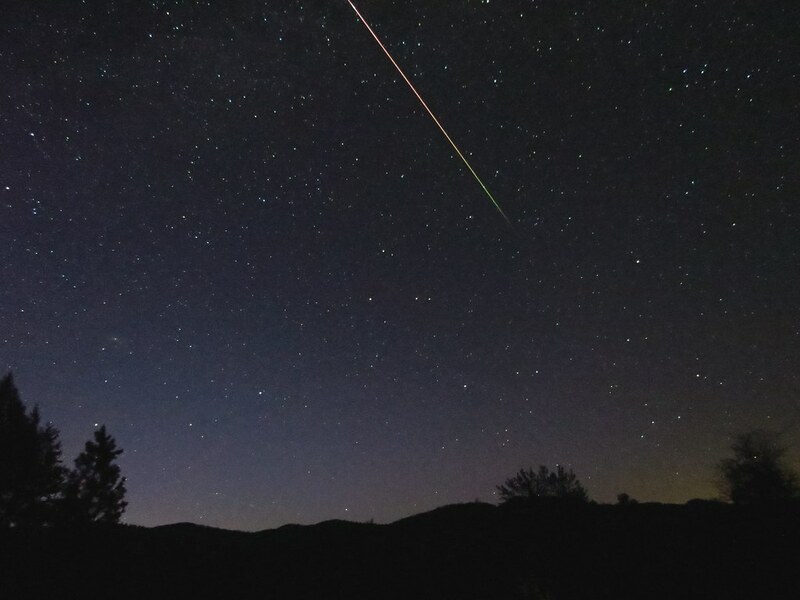 Meteor showers occur when dust grains passing through the Earth’s atmosphere are burned up. Where you live has a direct correlation on which way you should look to see the meteors. Reside in the northern hemisphere? Look to the southern horizon. Those living in the southern hemisphere should look north. Folks living along the Gulf Coast of the United States and as far south as Miami will have the best view of this nighttime event. To have the best perspective of the Eta Aquariids, head outside a couple of hours before dawn. Experts anticipate that viewers of this celestial show will be able to see as many as 30 meteors an hour streak in the sky. For the best view, lie on the ground and look up at the sky. This will ensure a full panorama of the horizon and will also prevent you from having a sore neck. This year’s Eta Aquariid event will not be marred by light from a bright moon. When the shower reaches its zenith, the moon should have already set. Still, take an hour or so off for watching the show. The human eye must first adapt before it can see and distinguish the meteorites against the sky.